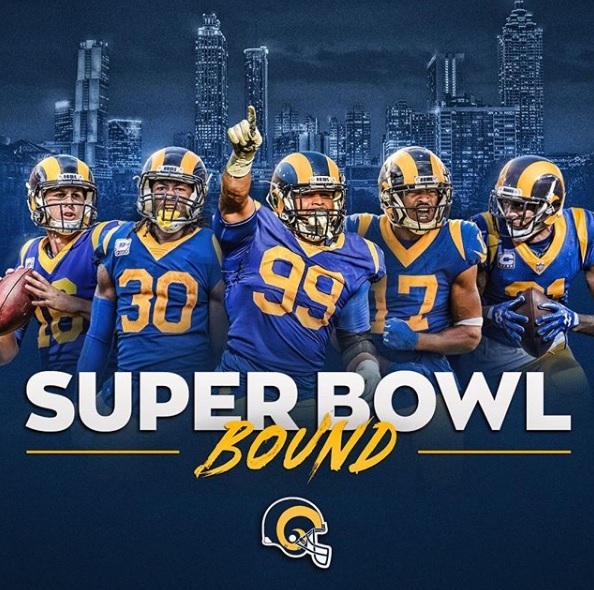 Just three seasons after returning to Los Angeles, the Rams are now heading to the Super Bowl! When the Rams defeated the New Orleans Saints on Sunday, they knew the location, date, and time of their next game, but they didn’t know their opponent. That was decided a couple hours later, as the team sat on the plane en route back from New Orleans to Los Angeles, as the Patriots defeated the Chiefs in overtime, 37-31. Click here for the rest of the story!